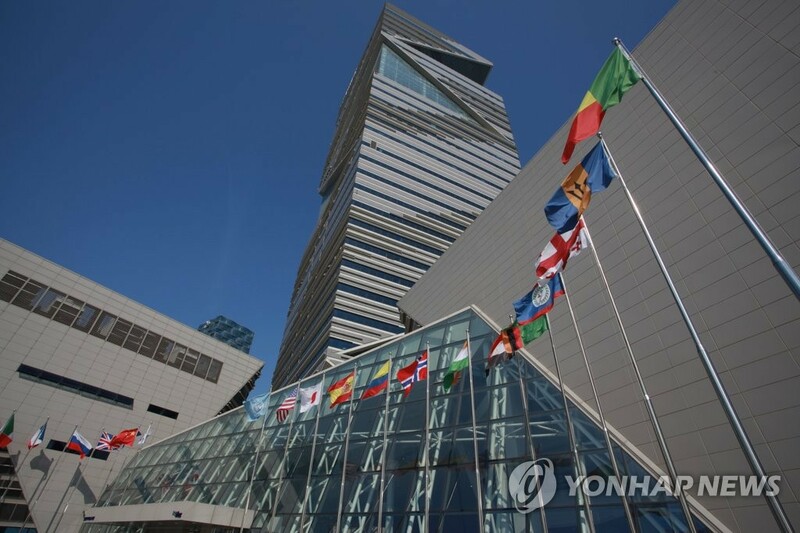 (INCHEON=Yonhap News) Incheon Free Economic Zone Authority (IFEZA) under Incheon city has set a target to attract USD 630 million in Foreign Direct Investment(FDI) this year, the same amount as last year. IFEZA held a workshop attended by all members of Investment Opportunity Headquarters at G Tower in Songdo international city on February 8 to discuss how to attract investment and enhance collaboration by sector. The workshop particularly concentrated on attracting new growth industries and job creating enterprises by shifting a paradigm of investment attraction, attracting enterprises leading the 4th industrial revolution including blockchain companies, and improving living conditions for foreigners. IFEZ that encompasses Songdo, Cheongna, and Yeongjong international cities attracted USD 1,334.13 million in FDI (declared amount) last year. It accounts for 80.5% of total FDI amount (USD 1,657 million) declared by all seven Free Economic Zones nationwide. An official said "although global economic slowdown and reform of investment attraction support system have caused some difficulties, we will endeavor to boost investment by setting up strategies optimized for IFEZ".